As a casual reader of books, I generally steer clear of the fantasy genre. Two reasons. Firstly, I’m a terribly slow reader. Secondly, I find the prospect of multi-volume fantasy epics daunting and it makes me anxious as to whether the stories will ever receive the closure that’s intended for them. 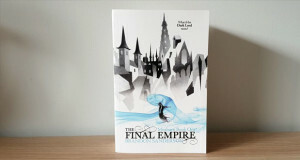 Case in point – the author of Warbreaker, Brandon Sanderson, made his name by writing the final three instalments of the Wheel of Time series as the original author Robert Jordan died before he could complete his work. Here’s hoping for all our sakes that George RR Martin does get around to writing that elusive closing chapter of A Song of Ice and Fire series. I was recommended Warbreaker as it was pitched to me as an easy read and because it is a stand alone story. Warbreaker tells the story of two princesses – Vivenna and Siri – Idrians who both find themselves in the (literally) colourful Hallandren empire. Siri is sent away by her father to be a bride for the almighty God King Susebron, an offering made as part of a diplomatic treaty to prevent war between the two rival nations. Fearing for her sister’s wellbeing, Siri’s older sister Vivenna follows her to Hallandren when she colludes with hired mercenaries and plots to rescue Siri. It only took me a couple of chapters to really warm to Sanderson’s prose and feel comfortable in his ability to deliver a satisfying and engrossing tale. Sanderson’s writing style is easy going and plain-spoken whilst having an evocative and captivating quality to it also. In a single self-contained narrative, Sanderson is able to craft multiple, vividly realised characters who exist in a world populated with powerful Gods, reanimated Lifeless souls and a meticulously described magic system that draws upon colour as a resource. In short, this is precisely the sort of book that makes me throw out all of my misgivings about the fantasy genre and makes me happy to jump in and embraces the sword and sorcery. At the centre of the story are Vivenna and Siri, two sisters who share a royal lineage but who are polar opposites in character. Vivenna grew up embracing her upbringing and the expectations that come with being the oldest princess of a kingdom. Siri on the other hand is mischievous, tomboyish and disinterested in the political machinations that swirl around her family. A last minute decision by their father to send Siri instead of Vivenna as the bride to the Godking, changes both their fortunes. Siri must quickly adapt and survive the politics of an unfamiliar and hostile royal court. Vivenna, so used to creature comforts and abiding by a system of rules and governance, finds herself negotiating with mercenaries and rebels, whose motives are unclear and whose loyalties she is unsure of. 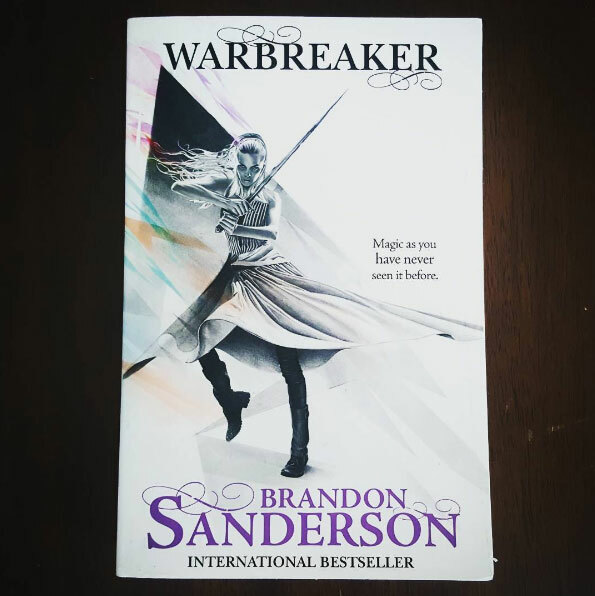 Warbreaker is an entertaining yarn that moves at a helter skelter pace and is packed with spectacle. The supporting cast of characters are terrific. There’s Denth and Tonk Fah, two mercenaries who maintain a dry sense of humour as they go about their often brutal line of work. There’s Lightsong, a charismatic reincarnated God who dabbles in the affairs of men but also wonders about the life he had before he achieved immortality. 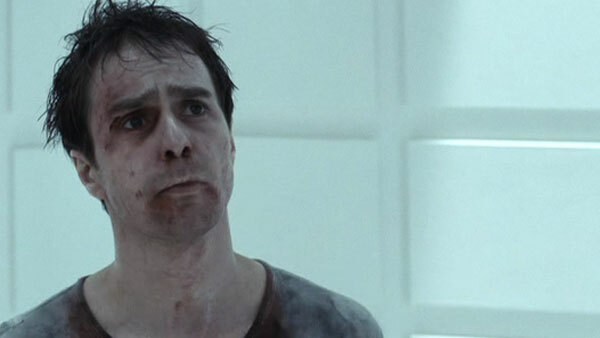 And there’s Vasher. A hard nosed loner who trails the princesses and keeps the company of a talking sword. I found the magical aspect of the universe to be hugely entertaining, not least because Sanderson is happy to incorporate all sorts of different magical concepts in his story. There’s reincarnation, soul-farming (think Mortal Kombat‘s Shang Tsung), sentient objects and magical forms of expression that changes the colour of ones complexion. Although written nearly a decade ago, Warbreaker‘s themes, which explores the attitudes of different cultures towards one another and the illusion of power in politics, also makes it feel like a fitting allegory for the current political climate in the Western world. If you couldn’t tell, I liked Warbreaker. I liked it a lot. I was sad when the story ended. I didn’t want to say goodbye to these characters just yet and I popped online immediately after I finished the book to see if Sanderson ever mentioned the likelihood of a sequel (he hasn’t). It made me interested in looking up his Mistborn series. The Final Empire is the name of the first volume. There’s been seven volumes so far and he hasn’t finished writing the series yet. 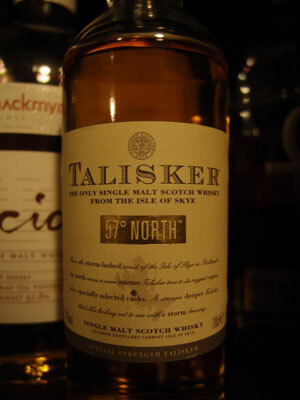 I thought this is the sort of thing I didn’t like but now I’m thinking maybe I should give this a go.